Been trying to post this on the official forums but for some reason, it never shows up. As someone that's played a hunter since BC, camping a rare has always been a thing. Back when Northrend was current in WotLK, I could understand the long timers. New things often are a bit harder to come by and the servers were all separate. After WotLK came Cata and CRZ became a thing. This made rares with longer timers much harder to obtain because there was more competition. However, CRZ allowed realm hopping, but that was a double edged sword. On one hand, you had more places to look for your pet of choice. On the other, you're taking it from a native of the server that may want it. Now, as it currently stands, there's some new server process where many servers are mixed together so no one is on an empty world. I propose, for this very reason, to lower the spawn timers of the Northrend rares. It's bad enough Loque, Aotona, and Krush are on the list for an achievement of kills (Frostbitten) and drop transmog items. It's worse now with CRZ and the new system. Now, I don't want them to be constantly spawning, but I don't think it's unreasonable to ask them to be 1 - 4 hours or 2 - 6 hours rather than their current 6 - 16 hours. Some things I'm sure to get and have seen before, so I'm answering ahead of time. "But camping is a challenge!" A challenge of what, exactly? Sitting at the screen for hours? That's not a challenge to me. I loved the introduction to challenge tames whether it's doing something special to get them or tracking their footprints. Camping, however, is not a challenge. It's a waste of time. "Camping makes you love the pet more!" That's a matter of opinion. My bonds with my pets have been based on different things. 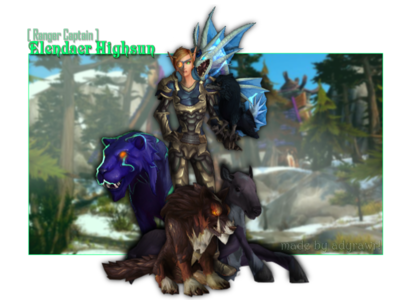 Ex: Tak the Leaper on my BE hunter is special because he was the first rare I ever tamed. 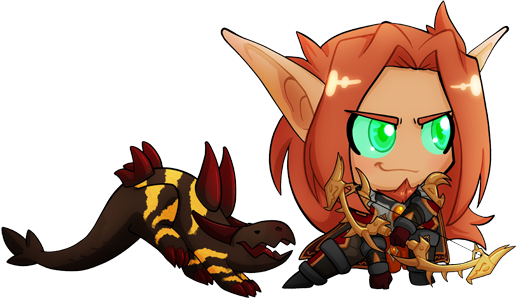 Loque is special because of his roar and his rich lore with the trolls as Harkoa's mate. A simple brown wolf from Nagrand is special to my worgen hunter cause she named it after Prince Liam Greymane. I'm sure it differs for everyone, really. Me, I don't bond because I stared at a screen for hours on end. "But camping has been around forever!" I'm sure it has, but times change. Long camps should be a thing of the past and after speaking with the many hunters that have been crowding the basin with me, many agree that lowering the spawn timer would be ideal. One or two even suggested lower it to 30 minutes, which I'm not against, but I felt the ones I listed were more reasonable while keeping them 'rare'. I'm not sure if this is the right place for this, but I would love for the lightning dire worgs (ex: this one) to be implemented and made tamable. The non-lightning ones are nice, but their eyes look a little derpy due to being aimed sideways rather than forward. The glowing eyes on the lightning models don't have this issue, however, plus they look super cool! For these to be made tameable- Shieldscar Doe, Ebonclaw Worg, Tormented Shadowrunner and Sinister Leyrunner. (Tormented Shadowrunner and Sinister Leyrunner would always be with my hunter) maybe one day. The new fox model is really pretty and it'd be fab if it was available somewhere; I don't necessarily want to lose the old models though so that'd be a tough call to make. I suppose it'd have to be a rare/vignette somewhere; possibly even Volpin himself since he's said to be the last of his kind if I recall correctly. 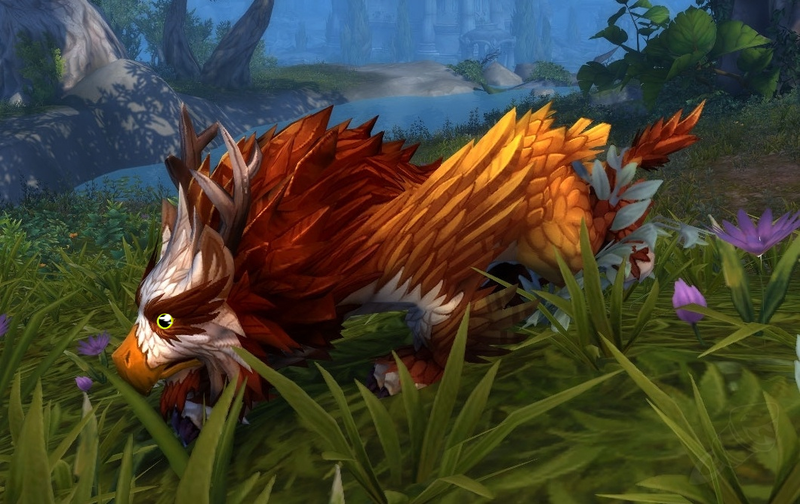 But com on Rexxar has leokk i want one of these and have wanted hippogryphs since i got mauled by one in feralas back in vanilla. possible ability double attack your hybrid attacks with both its species confusing your target for x seconds. I dunno really i just want my hippogryph to charge in to battle with me! I would really love it if tallstriders could get their cute bouncy run back someday! I was tooling around with one the other day and realized how much I miss that run. They just don't feel the same to me. These guys make such gorgeous pets! I really try to stay appreciative, and as such, stay away from feeling like I'm begging, but I would LOVE tamable giraffes/longnecks and Unicorns. It seems really odd to me that Stags/Moose/Talbuks/Antelope/Yak/Oxen/etc. are all horned, hoofed creatures that we can tame and befriend, but Unicorns and giraffes don't qualify. Another that falls in the same category are rams. Why oh why aren't these in the goat family?? I am in total agreement on this. I remember stepping into Val'Sharah for the first time and actually gasping when I saw my first unicorn in game. I was heartbroken when Beast Lore informed me they were unattainable as pets. Last edited by Niabi on Tue Sep 20, 2016 5:23 am, edited 1 time in total. Mounting Made Easy is by far the worst quest ever. Any lag and the line breaks, the server stutters and I have to start the 30min timer over AGAIN! Not doing this this till the DDOS stops. signature made by yours truly. Can we please get a new model for Seagulls? Please? Please split the toucans and macaws types into their own Parrot family? I dearly want pythons to be tamable but Blizzard had already stated they never would be because they do not have a mouth. Same with the new fox mount model. They would have to rework the model to give them a functioning mouth. Which is a real shame and head scratcher as to why they weren't created with a working mouth in the first place. If we sacrifice x number of level 25 Hungering Claws, our Fathom Dwellers become flying mounts. I'm am constantly broken hearted when I run SoO and the Kor'kron armored wolves aren't tamable. This is a pet a wish for. I've already sent in a bug report (though this has been a problem for a few years now), but- please fix Zaricotl's beautiful wings! The lighting on them is super glitchy and broken and it breaks my heart, because this skin is gorgeous but looks just flat out weird with patchwork lighting on the wings. ... I just want the sea lion/seals to be tameable. I feel like, out of everything, they wouldn't really be too much work to implement; they appear to be fully fleshed out models as far as land and water animations go, they have attack animations and whatnot, and they're honestly fairly common as far as things go so I don't think it'd be that bad to have them available. Also the Nighthold scorpids, but those apparently have some technical issues which make it difficult so I can understand if they're not added as pets any time soon, if at all. "One day, this Hydra WILL be mine! 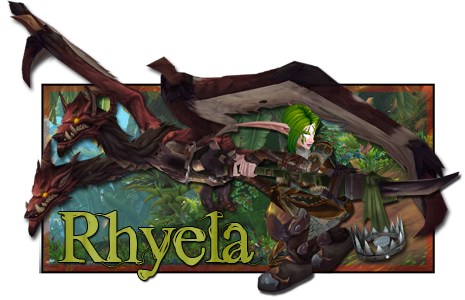 I hope"- Me, before hydras were tameable. Another that falls in the same category are rams. Why oh why aren't these in the goat family?? I think one of the things we seriously lack is heavy armored pets, for example boars with the armored mount skin (both normal and fel corrupted), also due to legion we lack more fel corrupted variants; i expected to see a plethora of them due to demons invading everywhere but strangely not even the boars, wolfs, hellhounds can be found around BI.